Veterans Day is a time to honor America’s veterans for their patriotism, love of country, and commitment to serve and sacrifice for the common good. In honor of our veterans and in support of their families, the City of Irvine will host a special Veterans Day Ceremony on Sunday, November 11th from 11 a.m. to 12:30 p.m. in the formal garden area at the Colonel Bill Barber Marine Corps Memorial Park. The ceremony will honor all our service members – past and present Honor Guards from the Irvine Police Department and Irvine’s own adopted 2/11 Marines from Camp Pendleton will lead the opening and closing ceremonies. As the daughter of a combat veteran, I know the tremendous value of veterans’ service, their core principles of honor, courage, and commitment. As a member of the Irvine City Council, I am proud that Irvine truly appreciates the commitment and sacrifice of our military veterans. It is always an honor to celebrate the service of our men and women of the Army, Navy, Air Force, Marines, and Coast Guard, and to thank them for what they’ve given to keep our nation free. Please join me in honoring our veterans on this Veterans Day. 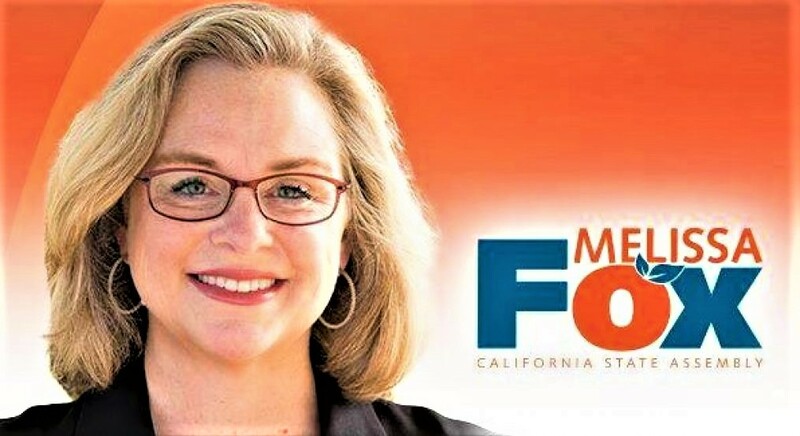 IRVINE, CA – Irvine City Councilmember Melissa Fox referred an email communication from Harvey Liss to the Orange County District Attorney’s office today. In his email to Councilmember Fox, Liss directed her to vote for a motion regarding the veterans’ cemetery to be presented by Councilmember Jeff Lalloway at the July 10, 2018, City Council meeting or face an end to her participation on the Irvine City Council. Liss’s email to Councilmember Fox may constitute a violation of several California criminal code sections designed to protect public officials from being extorted for their votes. Liss is a close ally of Larry Agran and Ed Pope of the “Save the Veterans Cemetery” campaign committee, and an editor of the Irvine Community News & Views, which was one of the major donors to the campaign urging a “No” vote on Measure B, lending over $300,000 to the campaign, without transparency as to where its money came from. Liss’s communication to Councilmember Fox via her private email account may also violate the City of Irvine’s Ethics and Lobbying Ordinance, since Liss is demanding that Councilmember Fox take a position on a municipal question on which Irvine Community News & Views has spent money far over the threshold reporting amount without reporting or registering as a city lobbyist and without reporting the lobbying activities that he and other agents of Irvine Community News & Views have undertaken.